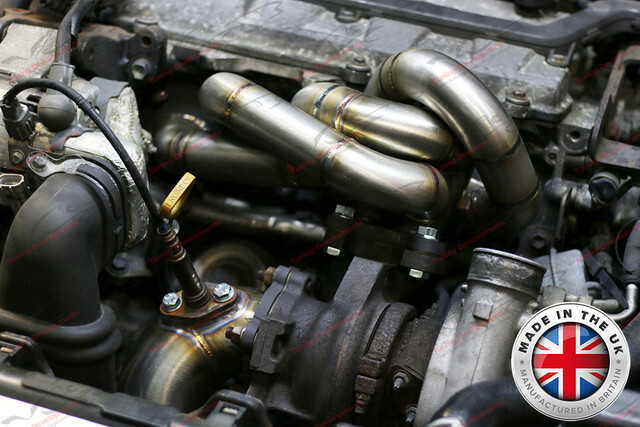 Yet another new product from Tuning Developments, the CT20B/CT26 Turbocharger bolt on High Flow Uprated Tubular Performance Exhaust Manifold & High Flow Decat Downpipe for all Toyota Celica GT-Four ST205 and Toyota MR2 Turbo SW20 3SGTE, Made in house, in the UK at Tuning Developments. Provides a even high flow increase for all 4 runners helping to reduce high cylinder temperatures and improve performance, and made from Steam Pipe to take the stress and heat from a turbo car without issue, unlike some cheaply manufactured stainless units which usually crack, there is no other Manifold on the market that matches the quality of this Made in the UK product! Custom made and designed in house in the UK by our highly skilled fabricators at Tuning Developments to be a complete bolt on fitment with the best possible performance gains, must have for any Toyota Celica GT-Four ST205 and Toyota MR2 Turbo SW20 owners. This manifold will fit with the factory exhaust system and also the factory CAT/downpipe. CT20B/CT26 and CT20B/CT26 hybrid fitment. Spool times are excellent with the optimal/matched equal length runner design. The Tuning Developments Full Stainless Steel 3inch Decat/Downpipe is a direct fitment part which allows for the air cooler duct from the Alternator to be refitted not offered by many decat pipes on the market, also allows for full movement of the factory wastegate unlike many of the others on the market. These performance downpipes are made from high quality grade SUS304 stainless steel. A must have for Toyota Celica GT-Four ST205 3SGTE & Toyota MR2 Turbo SW20 3SGTE owners wanting more power from their CT20B/CT26 or CT20B/CT26 Hybrid Turbo. Also available in packages with an high flow Hybrid Turbo, adjustable actuator and also a stainless steel decat pipe to suit as a complete performance upgrade package. Please Note this will not directly fit with the standard chargecooler tank, will require modification to the chargecooler tank or aftermarket unit/front mount intercooler.